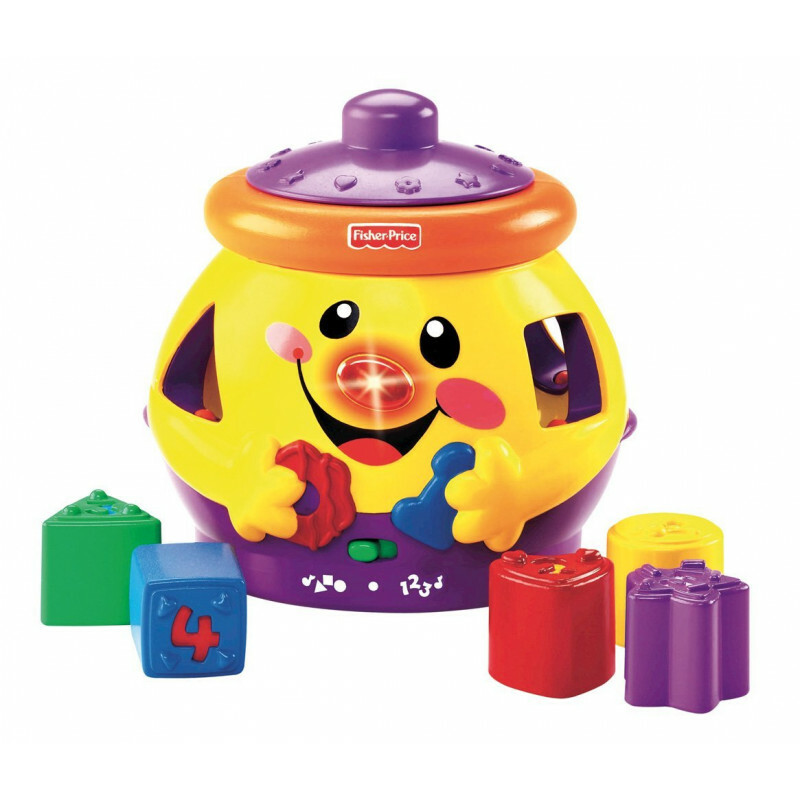 The Fisher-Price laugh and learn cookie shape surprise is a cookie jar character made just for the baby. 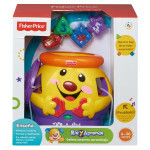 This smiling pal helps develop baby's sorting skills while also teaching colours, numbers, shapes, manners and more. 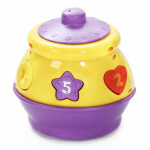 There are four shape sorters in all and four accompanying shapes to place inside. And when each piece lands in his belly, the cookie jar responds with rewarding phrases, sing-along songs and fun tunes full of rich learning content. 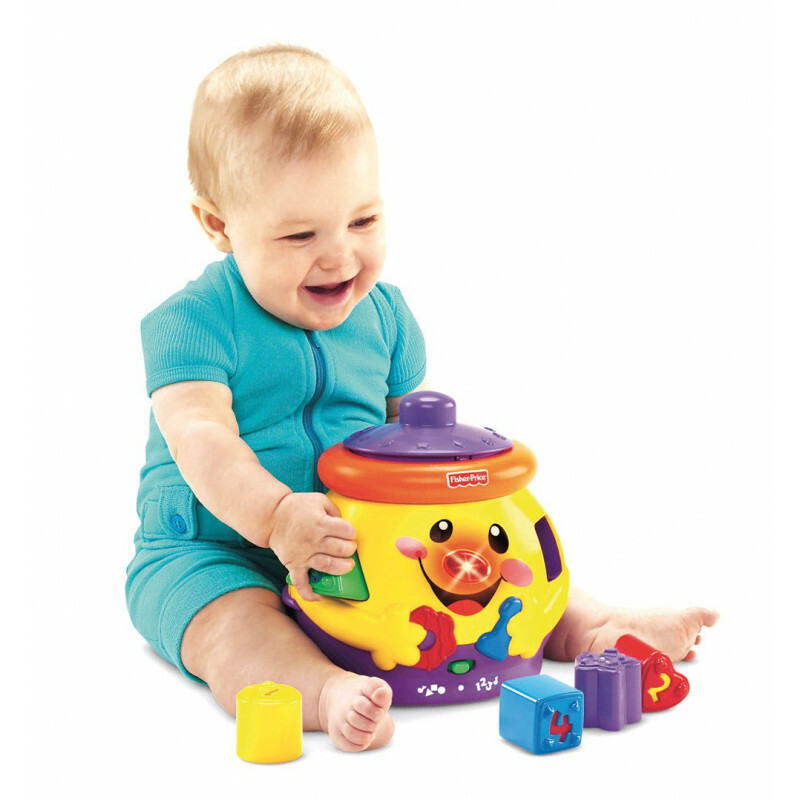 The Fisher-Price laugh and learn range is based on the premise that babies develop by experiencing and exploring the world around them at their own natural pace. Everyday experiences, like a kitchen, home and car are designed in baby-scale proportions for them to explore. That way, babies can discover their world in a contextual way, such as learning about numbers through an address on the laugh and learn home or understanding opposites through sound effects paired with the spoken words of open and close on a product's door. 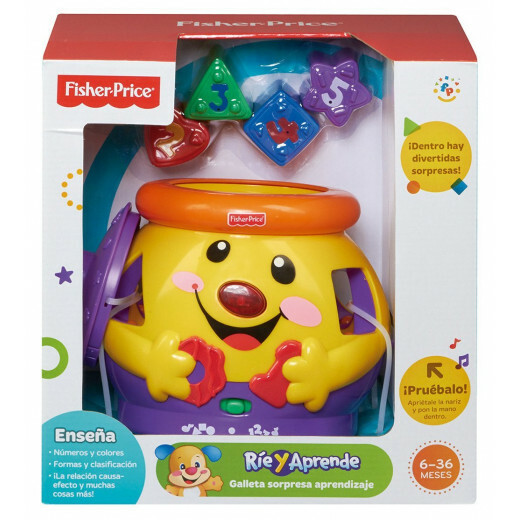 The Fisher-Price laugh and learn cookie shape surprise is an adorable cookie jar character made just for the baby. 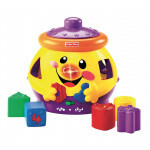 This smiling character helps develop baby's sorting skills while also teaching colours, numbers, shapes, manners and more. 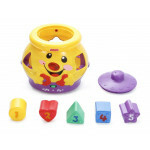 There are four shape sorters in all and four accompanying shapes to place inside. And when each piece lands in his belly, he responds with a rewarding phrases, sing-along songs and fun tunes full of rich learning content. With more than 25 sing-along songs, tunes and phrases, along with four included cookie shapes, baby will have a cookie jar full of fun with the Fisher-Price laugh and learn cookie shape surprise. 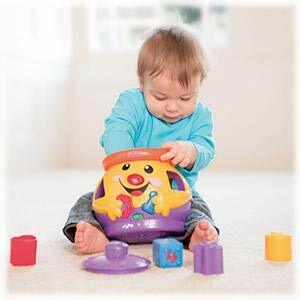 Grasping four cookie shapes helps baby develop fine motor skills. Baby’s thinking and problem solving skills are also put to the test as they figure out how to activate responses by placing shapes into the jar through four shape sorters or by pressing the lid. Watching their faces light up as they explore, discover, play - all those moments when children learn. 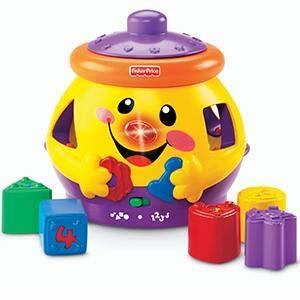 That's why Fisher-Price builds learning into everything they make. 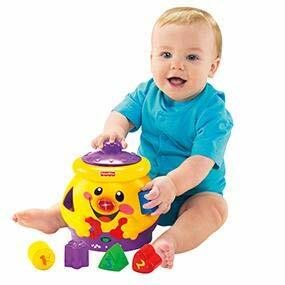 With playful ways to engage curious minds, exercise little bodies and nurture budding personalities. Because nothing is better than sharing the joy of learning with your child. What’s the key to inspiring an early love of music and learning? 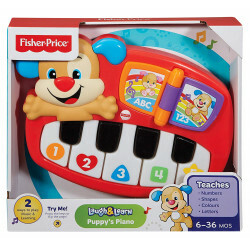 A toy piano that’s just the right s..